If you are doing the whole Weber Genesis vs Summit debate then let me make things simple for you. You are tired of replacing your rusted out grill every two years. You are DONE with grills that constantly flare up and cook unevenly. You have saved up some cash and are finally ready to buy a REAL grill. You simply want the absolute best grill possible. You just turned 50 and why the heck not. You want to surprise someone special for their anniversary. All of these grills are available in versions that either use propane or natural gas. The features and performance are identical between the natural gas and propane as well as the S and E series. Okay, that was the easy part. Now comes the hard part….figuring out what are the meaningful differences between these grills and finding the right one for you. I want to start with the best Weber grill, the Weber Summit S 670. Below are two videos that walk you through the features of the Summit 670. Please watch at least one of these videos so you I can help you understand the differences with the other Summit grills. Summit 670 Review from BBQGuys. 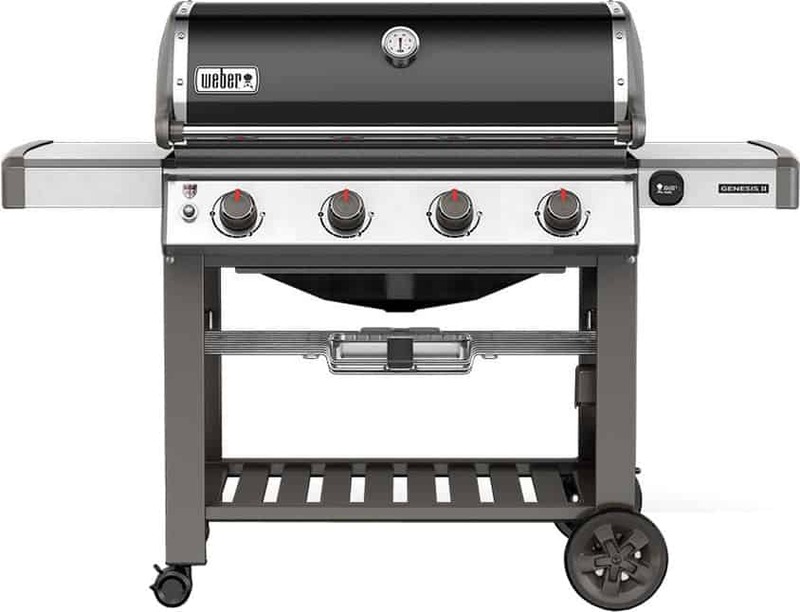 If you want to buy the best Weber gas grill then the Summit 670 is what you are looking for. Weber also makes a stripped down version of the Summit 670 called the Summit 620 that sells for a few hundred dollars less than than the 670. The Weber Summit 620 does not have the Rotisserie, Smoker Box or Sear Station. Do NOT buy the Summit 620. The Summit 620 confuses the heck out of me. Why would anyone want an ultra premium stripped down grill? If you can afford the Summit 620 then your money will be better spent on either the Weber Summit S 470 or the Weber Genesis II 610. The Summit 470 is a four burner grill that has all of the features of the six burner Summit S 670. The grilling space on the 470 is smaller than you get with the 670 but is still plenty large enough to handle anything you want to throw at it. 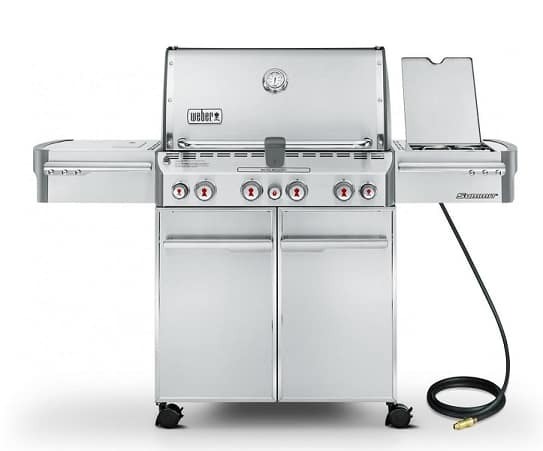 The Summit 470 comes with the Sear Station, Smoke Box and Rotisserie. In my opinion the 470 is a much better grill than the Summit 620. If you want an ultra premium grill but can’t justify the price or size of the Summit 670 then the Weber Summit 470 is what you are looking for. As much as I dislike the stripped down Summit 620, I dislike the stripped down version of the 470 even more. The Weber Summit 420 is a four burner grill with no Smoke Box, Sear Station or Rotisserie. Do NOT buy a Weber Summit 420. 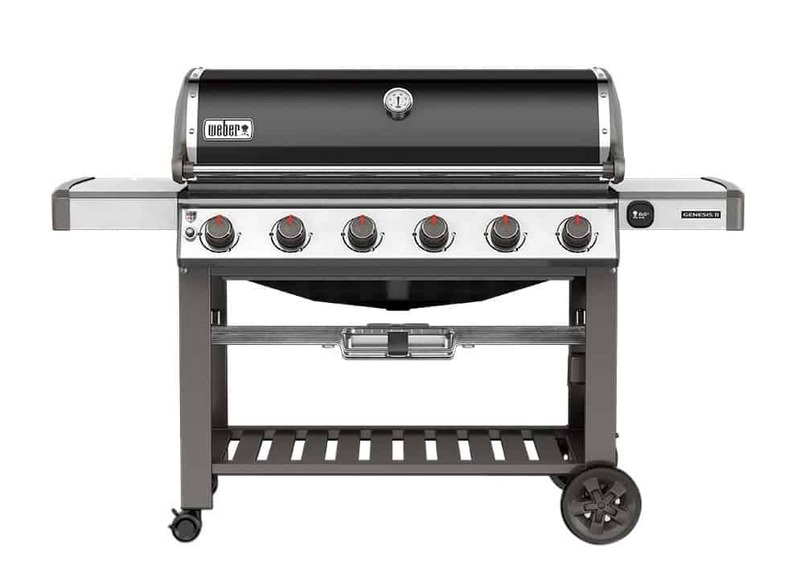 This grill does not have the features that make the Summit special and is overpriced in comparison to the four burner Genesis grills. In 2017 Weber restyled the Genesis series and relaunched the product line as the Genesis II. There are two versions of each Genesis grill; a Standard model (Genesis II) and Luxury model (Genesis II LX) which are available with two, three, four or six burners. Stainless steel cooking grate (7 mm rods) and Flavorizer bars. Everything that is stainless steel on an LX is porcelain enameled steel on a Genesis II. The video below gives a nice comparison of the Genesis II vs the Genesis II LX. If we are going to be comparing the Genesis against the Summit grills then we can ignore the two and three burner Genesis grills and focus on the four and six burner models. I LOVE the Genesis II 610 and would pass on the Genesis II LX 640. I love the Genesis II 610 because it is a huge six burner grill that looks beautiful and costs about $1,000 LESS than the similarly sized Summit 670. If you want a massive high performance grill without all of the bells and whistles that come with the Summit 670 then the Genesis II 610 is what you need. But what about the Genesis II LX 640? The Genesis II LX 640 is in the same boat as the Summit 620. These two grills come with a premium price (almost identical to each other) without delivering any real premium features. Either you want the best six burner grill available, the Summit 670, or you want an affordable massive grill, the Genesis II 610. The Weber Genesis II 410 is the grill that I am going to buy when my 20 year old Genesis Gold C finally falls apart. It costs less than $1,000. This is a big mental barrier for me. I try to hold onto my money and I just can’t make myself spend over a thousand bucks on a grill. The grilling area is big enough to handle multiple slabs of ribs. While the six burner gills have more space I simply don’t need it. I don’t need a side burner, sear station or smoke box and I already have a rotisserie. I think the profile of the four burner grill is beautiful. The Genesis II LX 440 is in the same boat as the Summit 420. Both grills come with a premium price without offering sufficient premium features. As soon as you get into the two and three burner range you are no longer comparing the Genesis to a Summit. The proper comparison on these grills is Genesis vs Spirit.